If you need to lose weight, you might think a healthy weight is fitting into a specific size of clothes or the skinny jeans tucked away in the back of your closet. It’s important to understand that a healthy weight goal should be set a health professional, such as a Registered Dietitian. It has nothing to do with a certain size of jeans or any of your other old clothes. In fact, you might not need to lose as much weight as you think to be in the healthy range. Or, you may need to lose more. It all depends. 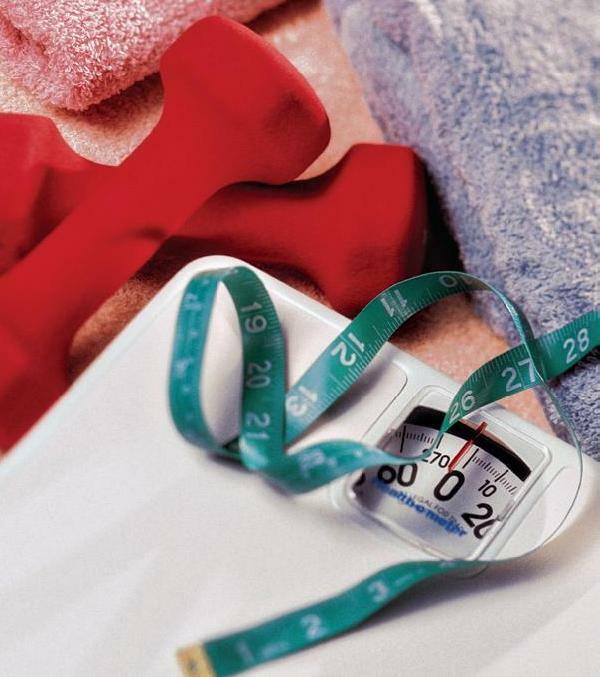 First, you need to figure out a healthy weight goal using the body mass index. The BMI is an inexpensive way to screen your weight category. It’s a calculation that takes into consideration your height and weight. The lower range of the BMI includes underweight, normal and healthy weight. At the higher end of the scale, you may be overweight or have obesity. However, although the BMI screens for body fatness, it doesn’t tell you anything about your health. Therefore, make sure you see a health provider for a screening to see if your weight is putting you at risk for health conditions. Fortunately, changing your diet and regularly exercising can help you improve your health. Nutrition helps control Type 2 diabetes. To figure out your body mass index, you can use an online calculator to find your weight range. The normal or healthy weight range falls between 18.5 and 24.9. Overweight is a BMI between 25 and 29.9. A person has obesity if their BMI is 30 or above. Remember, some people have more muscle than others. Two people who have the same BMI might have different amounts of body fatness. It can depend on your ethnicity and whether you’re an athlete. + Learn more from Bon Secours In Motion about how eating healthy may help you live longer. + Do you need help managing Type 2 diabetes or losing weight? Bon Secours In Motion offers programs to help people improve their health and reach and maintain their weight loss goals.